Review: This September 21st, Leonard Cohen hit 80 years of age, and what better way to enter his ninth decade on earth than with another reliably dark and insightful series of grave reflections on the human condition. And indeed, with his stark ruminations backed with skill and taste by arrangements from erstwhile Madonna collaborator Patrick Leonard, he arguably hasn't sounded better in around half that time. 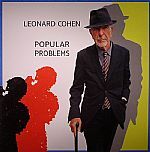 Popular Problems is as witty, as wry, and as eternally affecting as we've come to expect from this troubadour. 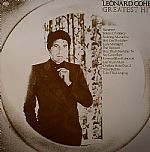 Indeed, while Cohen continues to make records as fine as this one, balancing out taste and refinement with gravitas and humour, we'll be forced to agree with his assertion herein: 'The party's over, but I've landed on my feet'. 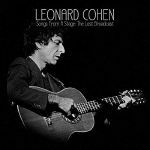 Review: Whilst it's now impossible to view Leonard Cohen's final album outside the context of his passing, the fact of the matter is that this lugubrious sage had been ruminating on the nature of endings and goodbyes for much of his near half-century of artistry, and it's hard to think of a figure who's been quite so eloquent and wise in this endeavour. 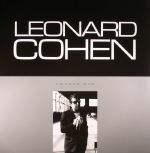 'You Want It Darker' seem may a fitting way to bow out, but moreso it bears testimony to the fact that Cohen's questing spirit remained undimmed right until the last, and his travails in the exploration of faith, romance and the human condition were never to lose their finesse and bite.